We are engaged in the best quality Wooden Statues in the market. 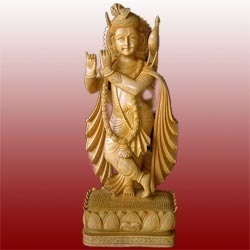 The statues that we offer are made from superior wood making them highly durable and long lasting. 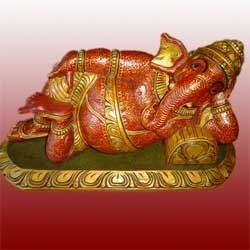 We manufacture and export huge assortment of Decorative Wooden Statues. These are designed and crafted by our specially appointed master artisans and craftsmen, who make them extremely attractive. 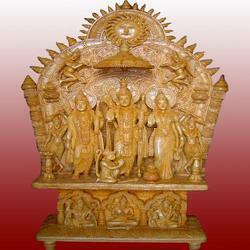 We offer a high quality range of Decorative Wood Carvings. These wooden figures have been hand carved in different types of wood. The most interesting aspect about these carvings is that they are made on a single piece of wood. Attributable to our wide space ability, we have the capacity to offer Wooden Dancing Lady Statues Outlined by applying different advanced techniques, these wooden statues are known for their fine finish and light weight. 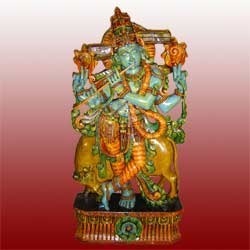 We are an unparalleled name in offering a wide gamut of Decorative Wooden Krishna Statues. Our provided statue is crafted from the quality assured raw material and the latest tools in conformity with set market norms. The Krishna statues offered by us are accessible in different poses that adds to the aesthetic appeal of temple. Owing to its beautiful design, excellent scratch resistance and perfect finish, our statue is highly demanded in the market. Aspired by the contemporary trends of markets, we are engaged in offering a qualitative assortment of Decorative Ganesha Wooden Statues. Our offered statues are used as a show piece in various places like homes, offices and many other work places. 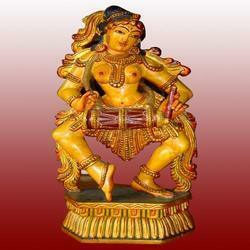 We offer these statues in diverse colors, sizes and designs as per customer’s requirements. Besides this, our statues are immensely appreciated by our clients for its varied designs, vibrant patterns and unique scriptures. Under precious guidance of our professionals, we are involved in offering a broad spectrum of Decorative Wooden Statues. Our offered wooden statues are precisely crafted utilizing quality assured raw material and best tools according to the market trends. We provide these wooden statues in different customized form in terms of patterns, sizes and colors. The statues are termite proof and highly recommended in market. Looking for Wooden Statues ?